Living life as a lady isn’t easy. I’m here for any tips and tricks that can make my life easier. All of the hacks in this article aren’t necessarily exclusive to women. These are useful modern tricks to improve the day to day life of anyone with a feminine side. Keep reading to find out how you can keep clothes from sliding off your hangers, how to put on a bracelet with one hand, and how to get the most out of your Eos lip balm. This is actually a fantastic idea. 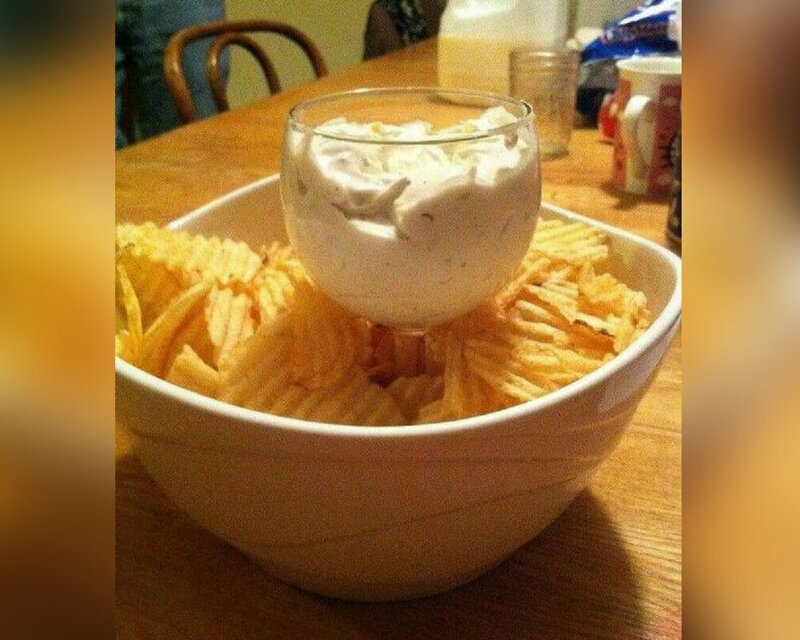 As much as I’d like to think I’d use this hack at a casual dinner party or a girl’s night, I’m more likely to use it just eating chips and dip by myself. One-handed snacks are the best kind of snacks. This hack makes so much sense. The only problem is that now I need to find a staple remover. People don’t use paper as much anymore, so staple removers can be hard to find. I will search high and low for a staple remover though if it means my manicure can last for another day. 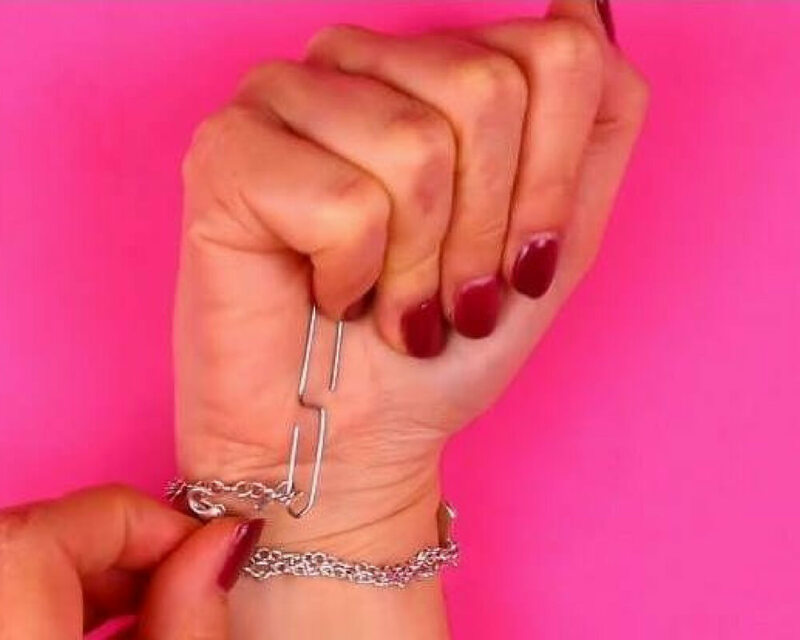 This trick also works for stray earrings, hair clips, and anything else that’s metal. Just make sure you don’t toss your phone or your credit cards in that drawer. Strong magnets can do crazy things to some kinds of technological gadgets. 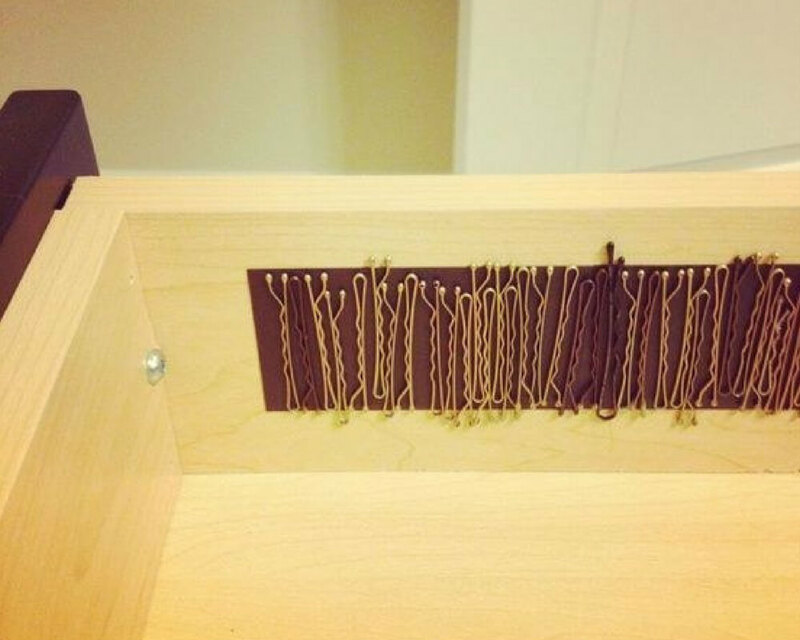 Magnets can do wonderful things for bobby pins, though. If you put on some sporty sweat bands when you’re washing your face, you can prevent water from running down your arms and making a mess. I bet this hack also works for washing just about anything— makeup brushes, dishes, whatever else. Isn’t it the worst when you really want to wear a cute pair of earrings, but you can only find one of them, and no matter how much you rummage through your jewelry box, you can’t find the other one for the life of you? 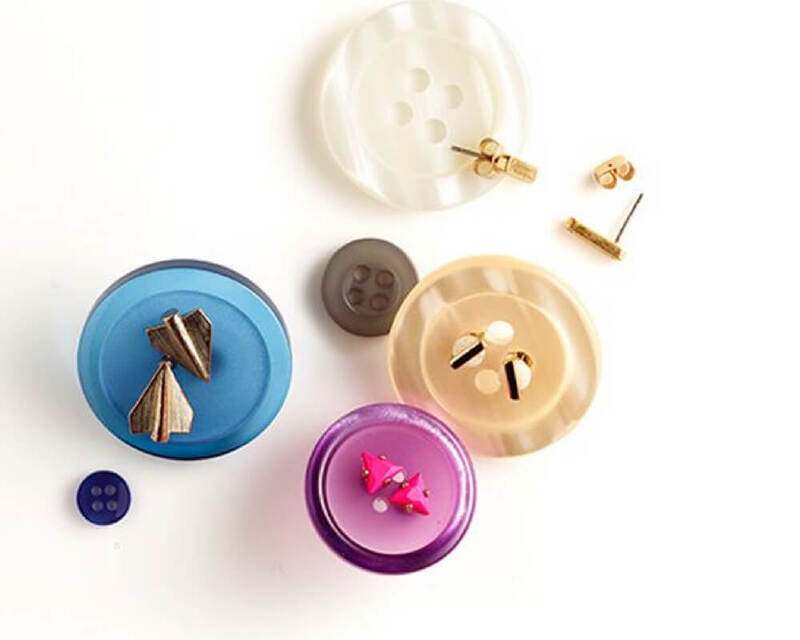 You can easily solve this problem by storing your earrings on buttons. P.S. I love those paper plane earrings and I might need to hunt those down now. This is such a clever trick. I can’t believe that after all these years of struggling, I could have just used a bent paperclip. My jaw actually dropped when I saw this. I think I’m actually going to wear bracelets way more often now. Candles and wax melts smell way better and are way more powerful than traditional car fresheners. Pick your favorite scent and keep it in a glass container or a salt shaker for easy cleanup. Now you’ll actually enjoy getting into your car on a hot day. If you wear a shoe size 7 or under, you can save money by wearing children’s shoes. Just subtract 2 sizes from your women’s shoe size. 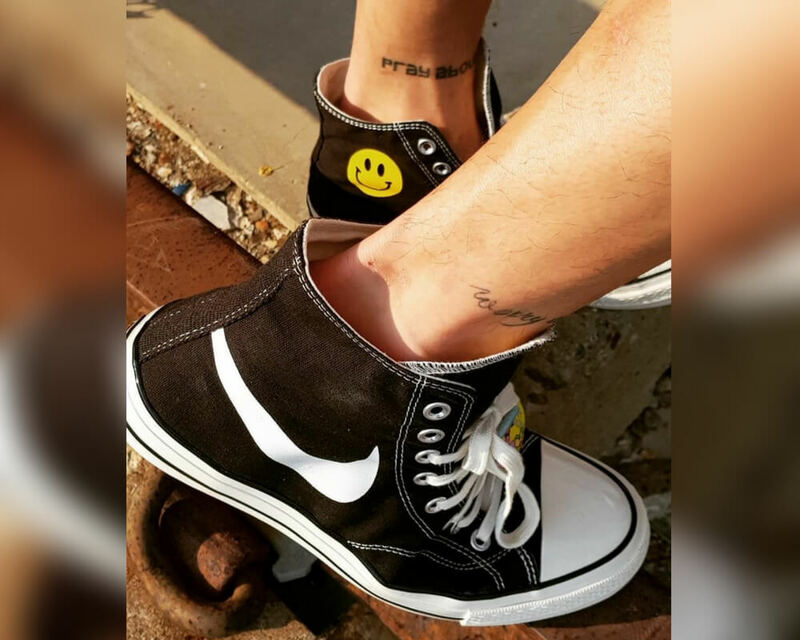 Kid’s shoes are way less expensive than women’s shoes, and sometimes they’re even cooler and more colorful (if you’re into that sort of thing). Razor companies think they can charge more for a pink razor than a blue razor, even though men’s razors are usually better quality. Don’t fall for those shenanigans. 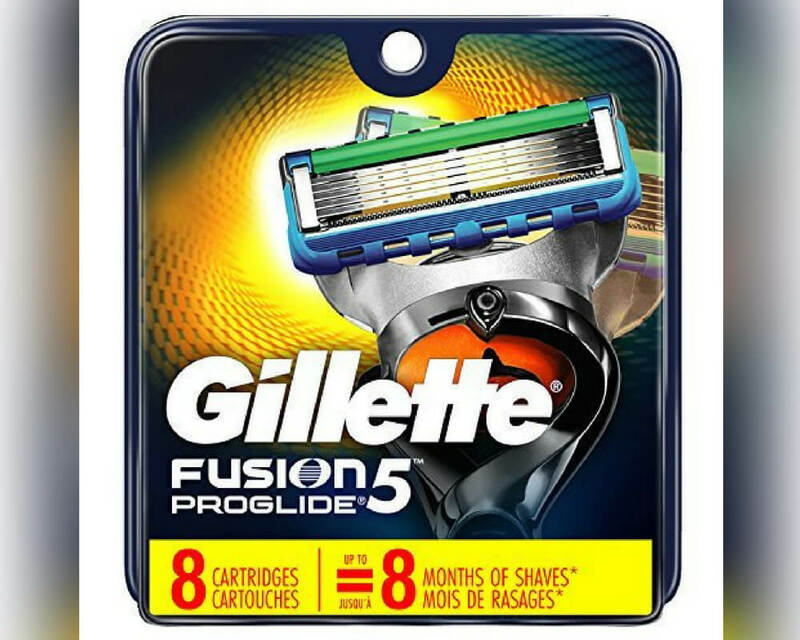 Men’s razors have more blades and they’re better for getting a close shave. 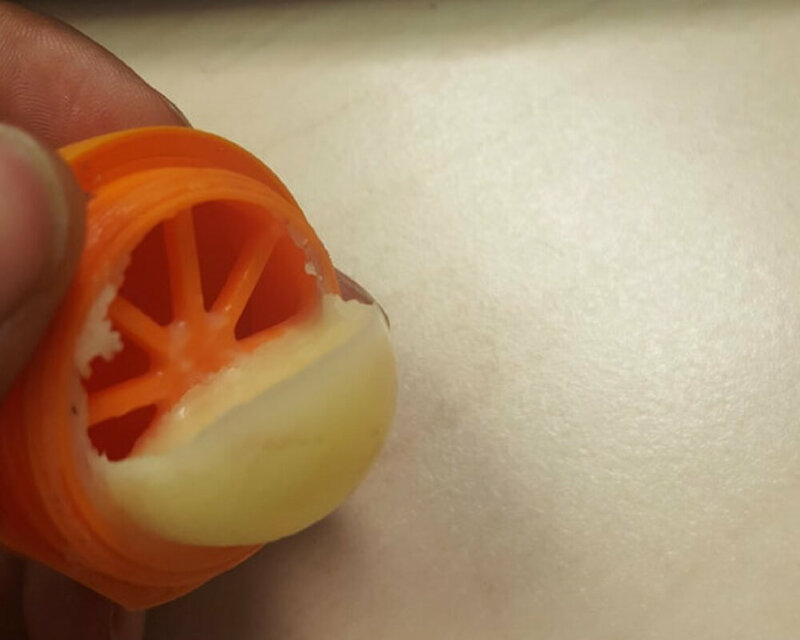 Eos lip balms have this plastic wagon wheel-shaped thing inside them, presumably for structural support. That bit of plastic makes it difficult to get to the last remaining bits of actual lip balm. If you leave your Eos container on its side on a hot car and then let it cool, all of that lip balm will spill out and become usable. Cornstarch is an amazing dry shampoo. 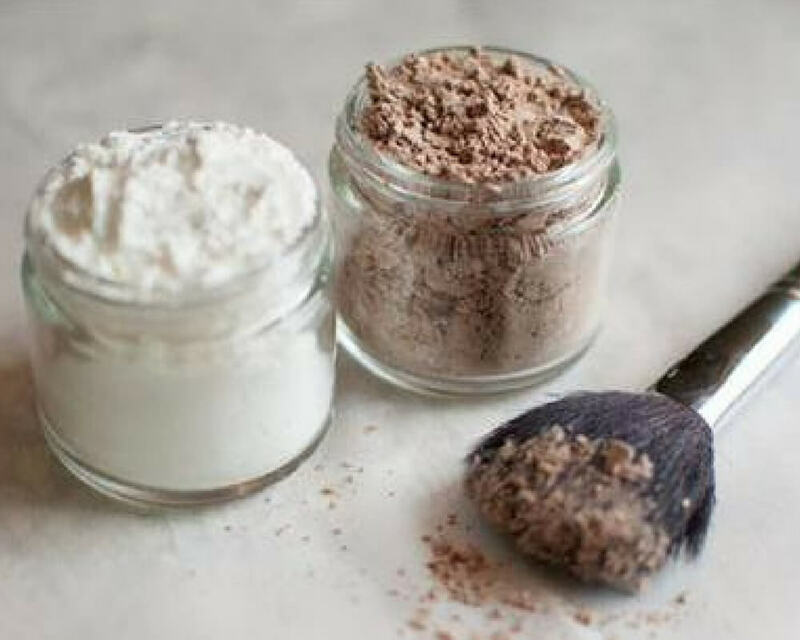 Just add a little cocoa powder or broken eyeshadow if you have darker hair. If you don’t have a sensitive scalp, you can even add a little bit of cinnamon for color and a delicious scent. 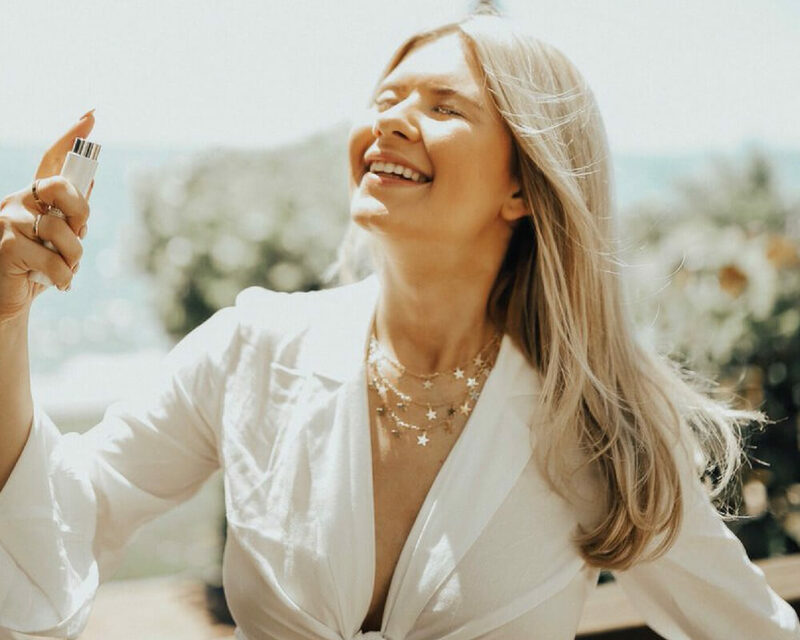 For maximum longevity, spray your perfume or body spray on your clothes too. It will last much longer because your clothes don’t shed oil or skin like your body does. You may want to be more careful with delicate fabrics, though. This hack works great for cotton, linen, and wool, but the alcohol in some perfumes might damage silk or super thin fabrics. Just test it out on an inconspicuous area of your shirt first. 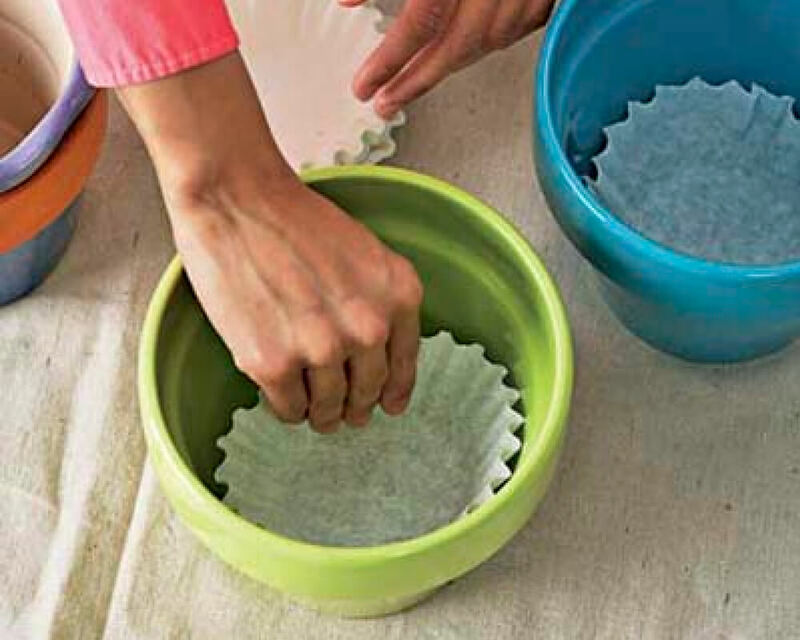 You’ll still need some sort of tray under the pot to catch excess water, but at least that water will be clean and clear if you stick a coffee filter at the bottom of your planter. Don’t let one crumb of soil go to waste. Men who like gardening, you can use this hack too. 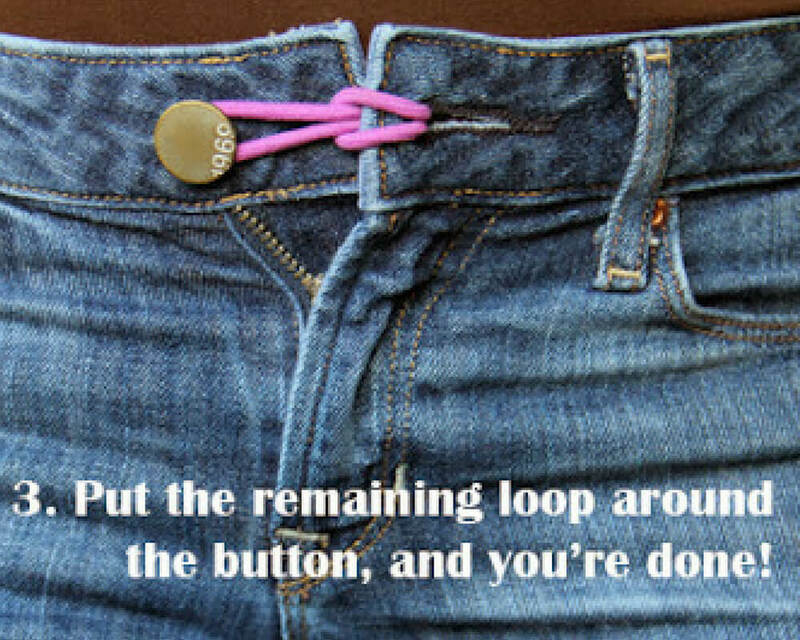 This trick works super well if you’re pregnant and you want to wear your non-maternity jeans for just a little bit longer. Just make sure you wear a long-ish top so people can’t see that you’ve macgyvered some fat pants. Men, you can use this trick too. You don’t have to be pregnant to wear fat pants. Deodorant spot on your shirt? Rub a used dryer sheet on the stain to quickly remove it! 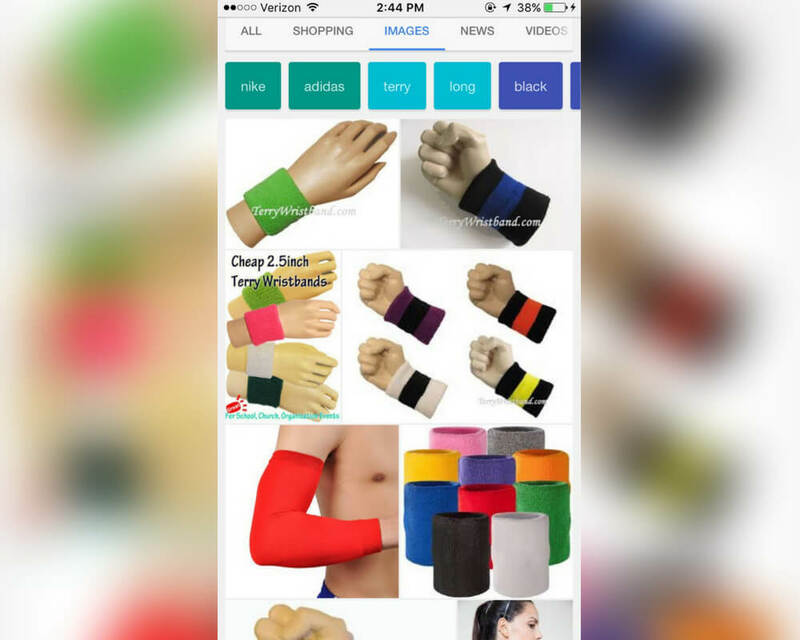 You could also use some fabric from the inside of your shirt to wipe off the outside. Terry cloth works really well too. Life would be so much easier if deodorant just didn’t leave marks like this. Dead candle in a nice glass? 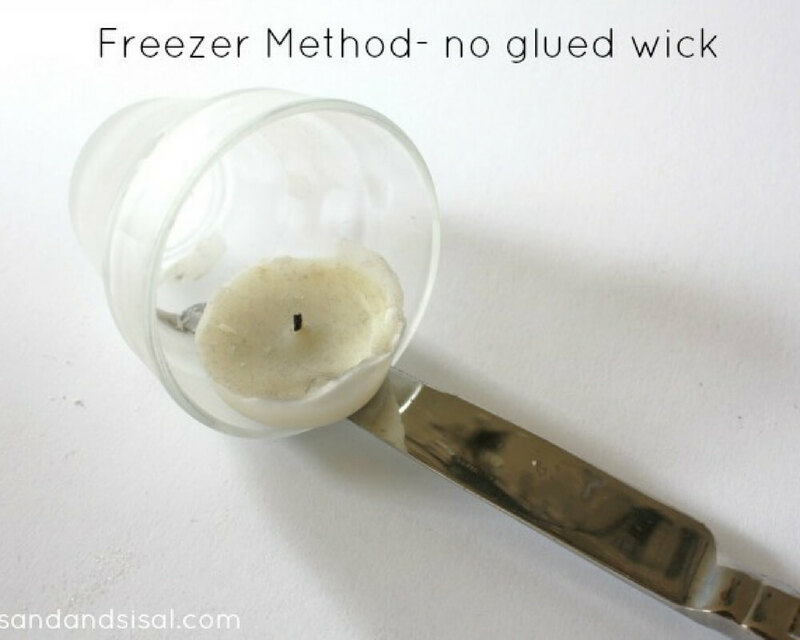 Put it in the freezer overnight to make popping the wax out super easy. You can also set the glass candle deep in boiling water (or run it under a really hot faucet) and tap the bottom and the wax usually falls right out. 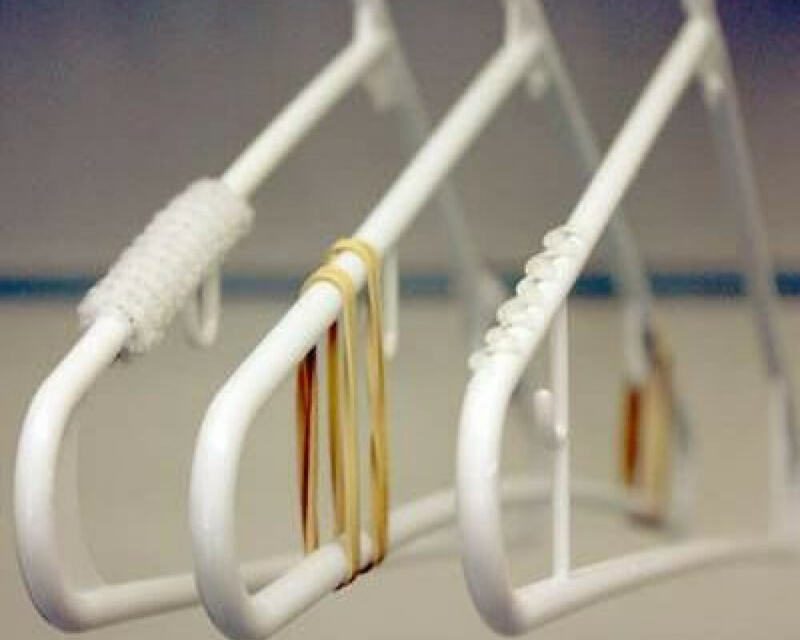 The best thing to do is stretch multiple “rows” of rubber bands over your hangers so you can throw multiple spaghetti strap tops or tank tops on the same hanger. You can save closet space and keep your shirts from slipping at the same time. What aren’t fanny packs good for? I mean, fashion, obviously, but they’re good for everything else. Men, you don’t need to be a lady or even feminine to use this hack. 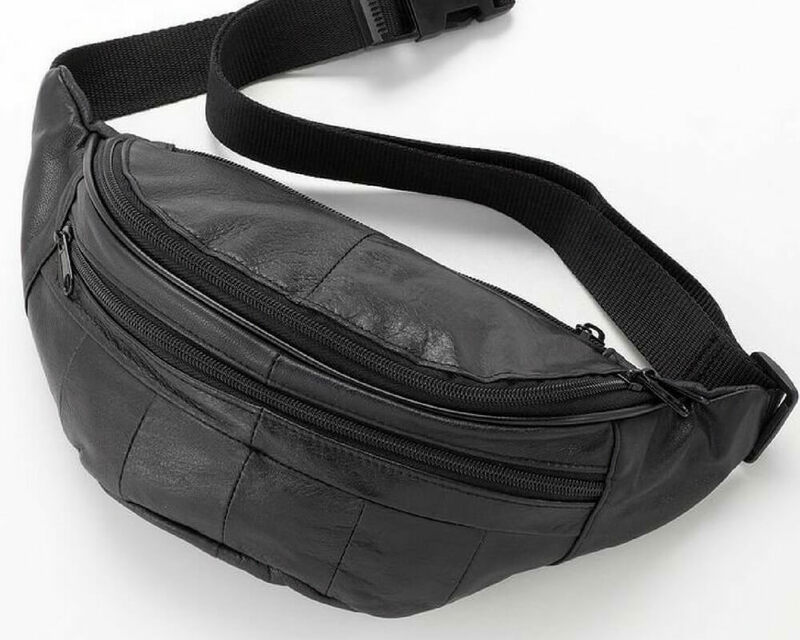 Fanny pack life hacks are for people of all shapes, sizes, and genders. I’m glad to know that I’m not the only one who has this problem. My tights are always sliding down my waist over the course of the day. 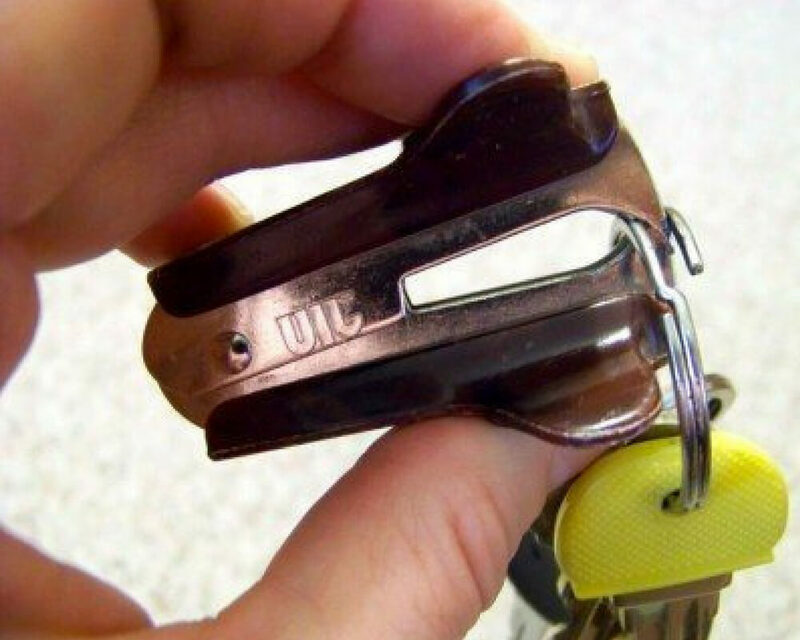 This hack is actually genius. I would have never thought to use Spanx as a sort of tights belt. Pumping too much product? Loop a hair tie or rubber band around the neck of the pump for perfect portion control. 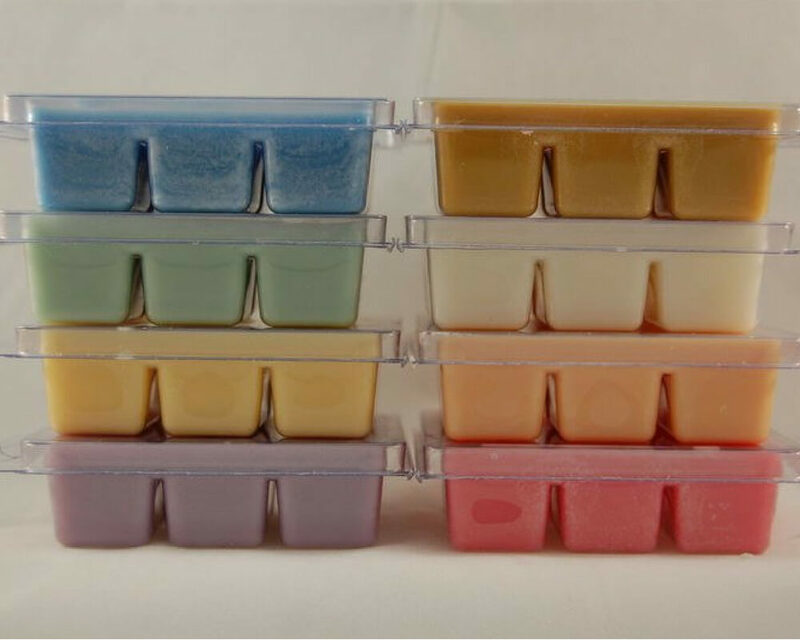 This trick works great for lotions, hand sanitizer, shampoo, and makeup products. It’s also great for young kids who get a little bit pump-happy.